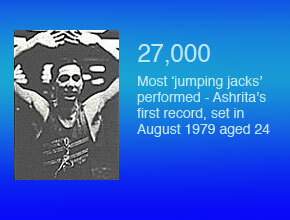 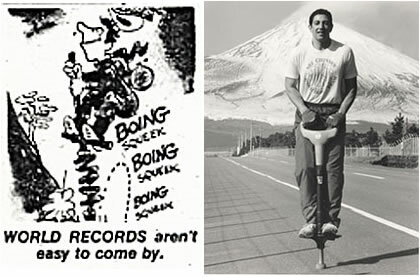 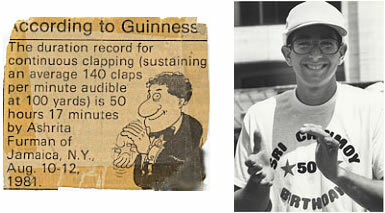 Ashrita has set more than 700 official Guinness Records since 1979 and currently holds more than 200 standing records – including the official record for the most records held at the same time by an individual. 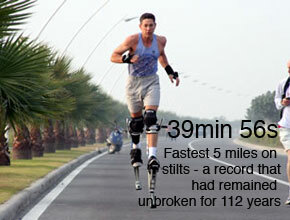 As a kid I had a huge fascination with the exotic places and people listed in the Guinness Book of Records, but being a non-athlete, I never imagined ever actually getting a world record myself. 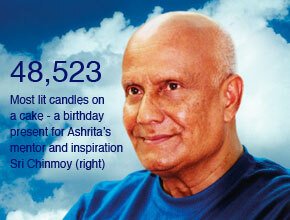 Years later, as a teenager, I became interested in Eastern spirituality and began studying meditation with Sri Chinmoy. 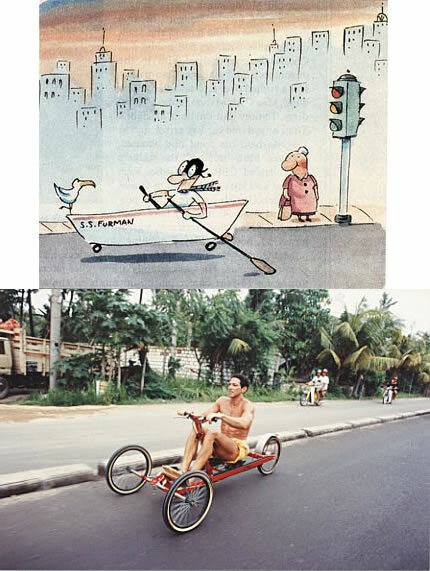 Suddenly, I was filled with an inner joy and a seemingly inexhaustible energy. 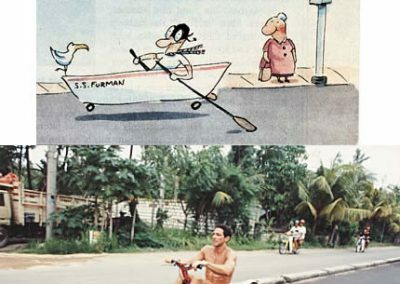 Sri Chinmoy also taught me about his philosophy of self-transcendence, that when you have access to the divine power we all have within us, nothing is impossible. 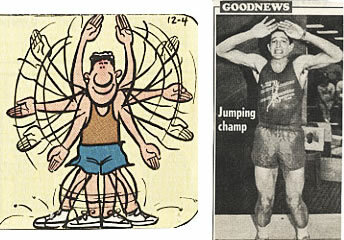 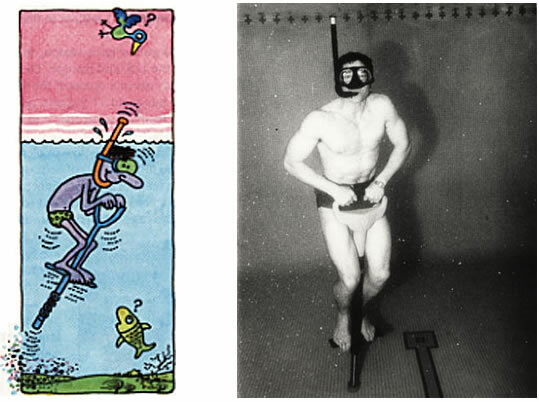 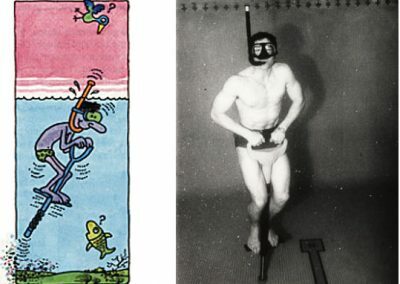 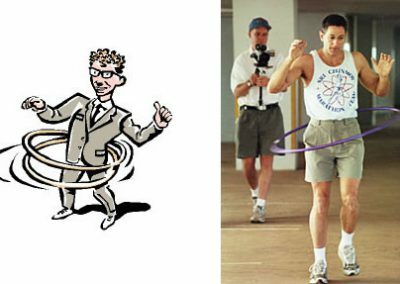 In 1979 I set my first record by doing 27,000 jumping jacks, and it was such a thrill that I immediately began training for the next record and I haven’t stopped since! 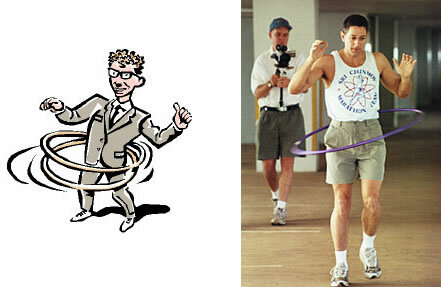 If your heart has big dreams? 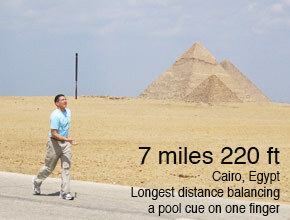 Ashrita has set records on every continent, and many of the world’s most famous landmarks. 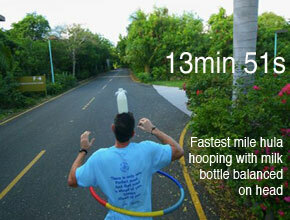 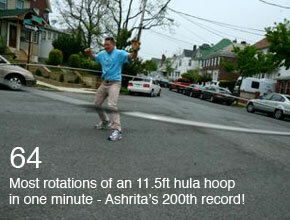 For a long time now, Ashrita has held more Guinness World records than any other person on earth. 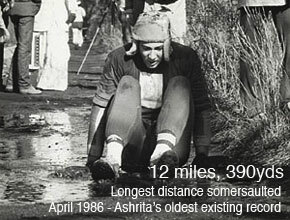 Ashrita was first recognised by Guiness World Records for the most records in unrelated disciplines in 1987. 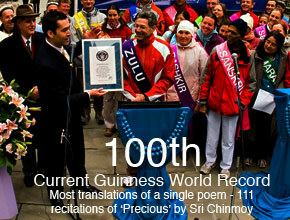 In 2009, he became the first person to hold 100 records simultaneously, coordinating an international group in reading a poem in the most languages – 111 – outside New York’s City Hall.